We have very exciting news! We have recently been chosen as the charity of the month at Ms Cupcake, a local vegan bakery in Brixton. 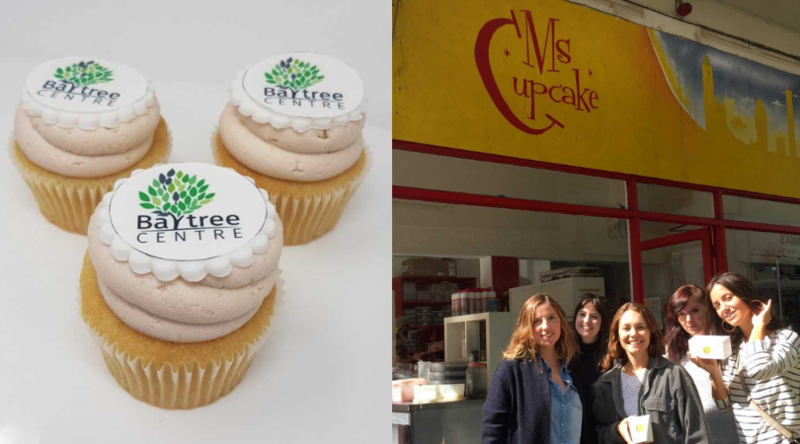 During our charity partnership with Ms Cupcake this September, they will be selling our very own Baytree Cupcakes! Not only this, but the cupcakes are also vegan, so every can enjoy them. These amazing and yummy cupcakes are on sale all month and £1 from each cupcake will be donated to Baytree to help all the work we do. Help support Baytree whilst eating yummy (and potentially healthy) cupcakes by popping down to Ms Cupcake before September ends! Ready, steady, eat (cupcakes)!